The 7th SS Division Prinz Eugene T-shirt is a single sided print in black. 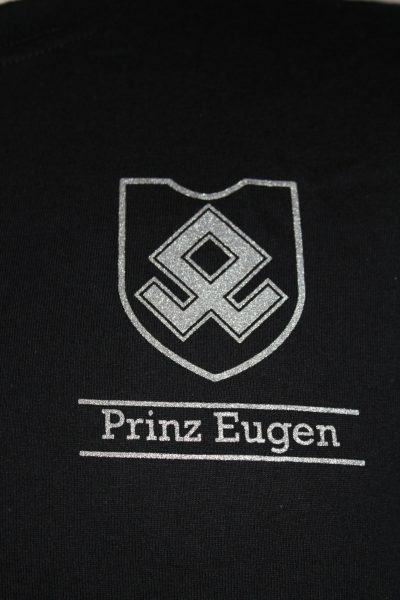 Front Design Only: Left chest insignia of the 7th SS Prinz Eugen Mountain Division. Commemorates the ethnic German Volunteers. 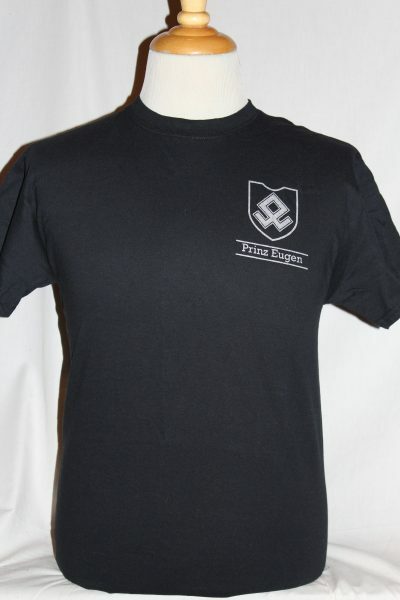 Gildan 100% cotton 6.1 ounce heavyweight shirt. Taped shoulder to shoulder, double needle hemmed for insured durability. This shirt wears well and will retain its original color and decoration after multiple washings. Note, we use the best quality preshrunk shirts available!